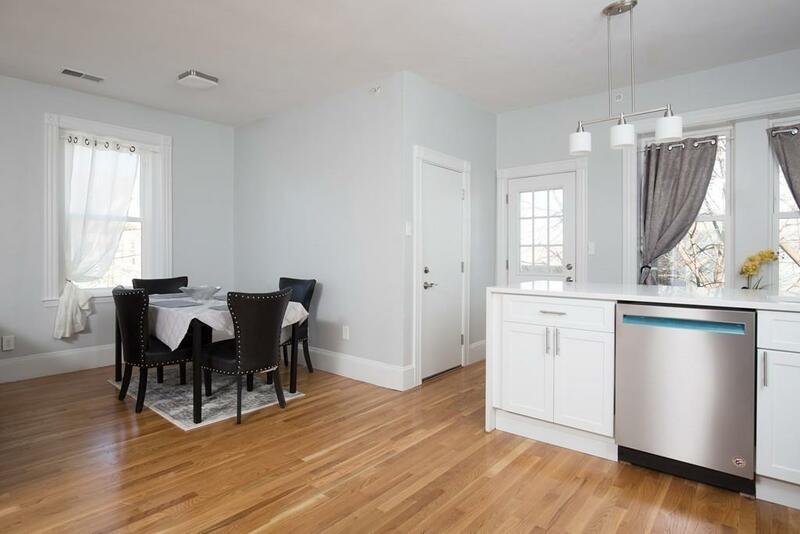 Beautifully renovated condominium in a classic brick row house on the North Dorchester/Roxbury Line: A great alternative to Jamaica Plain, Fort Hill and the South End !!! Invite your friends over and entertain in the stunning and spacious open-concept living area with high ceilings and lots of natural light. 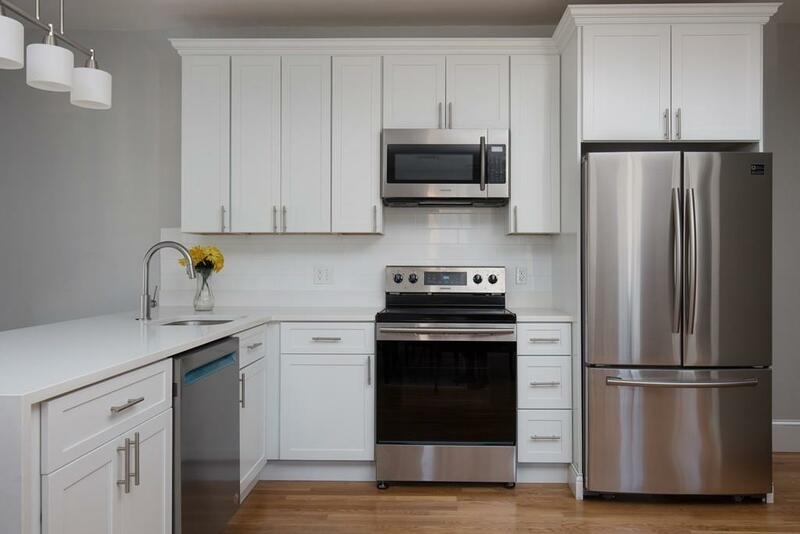 The kitchen features a clean, modern aesthetic with luxurious Cambria quartz countertops, Shaker cabinets, marble tile backsplash, and Samsung stainless steel appliances. There are 3 large bedrooms, including a master suite. All bathrooms feature stylish design using porcelain and marble. 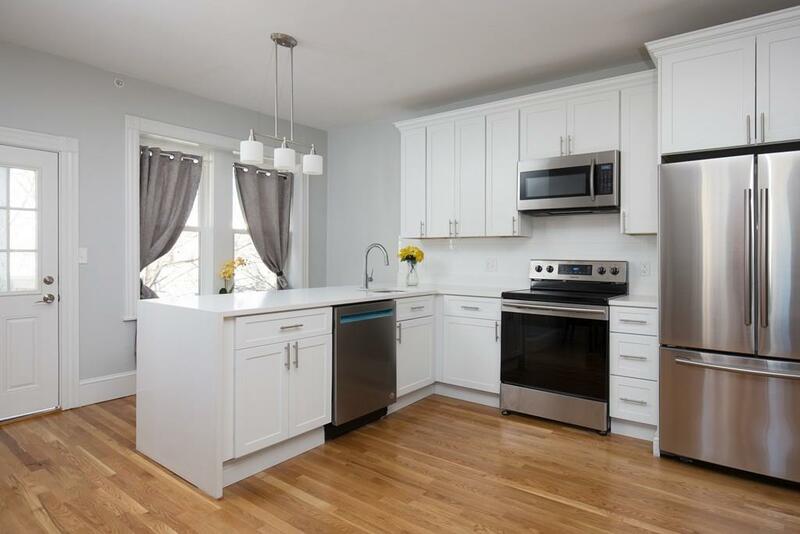 Beautiful white oak hardwood floors along with new windows throughout. There is central A/C, in-unit laundry area and extra storage in the lower level. New Navien tankless water heater. A private back porch and common back yard will help you take full advantage of warm weather. Easy access to public transportation, parks, schools & shopping. Listing courtesy of Adrien And Hughes Group of Compass. Listing provided courtesy of Adrien And Hughes Group of Compass. Amenities Public TransportationShoppingParkHouse Of WorshipPublic SchoolT-Station Assessments 1.00 Assoc Fee Includes Master Insurance Assoc Pool No Condo Association Yes Condo Type Condo Disclosure No Fee Interval Monthly Finance Code Conv. 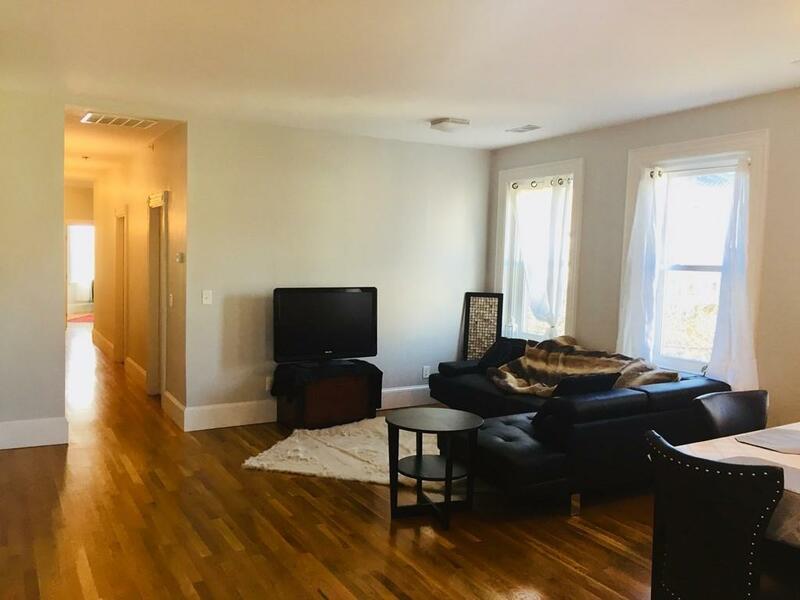 Fixed Hoa Fee 165.00 Lead Paint Unknown Lender Owned No Pets Allowed Yes Sewer City/Town Sewer Short Sale Lender App Required No Sq Ft Source Unit Floor Plan Tax Year 2018 Taxes 3045.00 Unit Building 3 Units 3 Utility Connections For Electric RangeFor Electric OvenWasher Hookup Water City/Town Water Year Built Description Actual Year Built Source Public Record Year Converted 2015 Zoning ?